The most obvious tools for an SEO are the search engines themselves. They’re free to use and you can use them as much as you want.With a simple search you can see how your pages are displayed in the SERPs and check your titles and meta descriptions. Perhaps you’ll even see rich snippets, created by structured data. But if your page doesn’t show up at all, you might have gotten a penalty or you have problems with duplicate content. You can even check the amount of pages that are indexed via the site: search command. There’s a lot you can do with a search engine. To get the most out of your search effort, you could use advanced search operators such as site:, intitle:, inurl:, etc. Web Analytics are a *must* have for every website. No matter how small it is, web analytics can give you valuable information on how to improve things.How do web analytics have an influence on SEO? Well, you can see where your visitors come from (Google, Bing, Facebook, Ads…), which pages they visited, how long they stayed on your site… You can even see which keywords they used to find your site in search engines and the average position for certain queries. Geographical data, social analytics, visitor flow information… are also included. The possibilities are endless. Every website owner wants to attract as many visitors as possible. That’s why choosing the right keywords is essential.To get an idea about the traffic potential of both keywords, We can use the Adwords Keyword Tool. When we enter both keywords we can see that there are roughly 110.000 search queries per month for ‘football jersey’, compared to 165.000 for ‘football shirt’. In this case we would use the keyword ‘football shirt’ throughout the site and create some landing pages that target the ‘football jersey’ keyword. The Keyword Tool can also give me ideas for new pages. The term ‘football shirt kits’ is frequently used in search queries, so we might want to create a page for that.The great thing about this tool is that you can apply several filters. You can filter by location, language and device, giving valuable information for local campaigns.Don’t forget that these are estimates. Simply creating a page about football shirts will never get you 165.000 new visitors. Nevertheless, this data can give you a good idea about the potential of certain keywords. Another useful tool from Google. Google Trends shows how often a term is searched for. Search volume is relative to the highest point in the chart (100) and allows you to discover seasonality.If we take a look at the search volume for ‘christmas gift idea’ for example, we see that this term has high seasonality (duh…).This data can be used to analyze sudden changes in traffic and discover new opportunities. 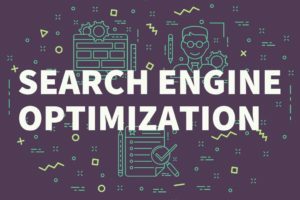 After all; SEO is not only about adapting and optimizing websites, but also about foresight and even a bit of speculation. software that mimics the crawling process of search engines. It helps you analyze a website from an onsite SEO perspective. This is especially useful for larger websites where checking every page manually would be too time-consuming. The free version of Screaming Frog is limited to 500 URLs, but for £99/year this limit is removed. Xenu checks your website for broken links. It’s also useful if you want to find duplicate content. This software is also frequently used on other websites to identify link-building opportunities (more on that later). Majestic SEO has a huge link index, which allows you to perform backlink checks (analyze the links pointing to your website). The free version is pretty basic, so you need a subscription plan if you want to use all the features. one of my favorite software packages. It has dozens of tools, such as rank tracking, competitive analysis, on-page recommendations… Free for 30 days, then $99/month. This is another SEO tool by SEOmoz. It allows you to check the link data of a website and compare it with competitors. Features and number of requests are limited for non-paying users. Some of my favorite SEO tools are browser plugins. They’re really handy if you want to do a quick check of a website. this plugin is packed with great features. You can check external page data, page elements, domain info and much, much more. It even enhances Google Webmaster Tools with additional data. this toolbar provides easy access to all the great function of SEOmoz, including the very useful ‘mozRank’. If you want to access all features, you need to upgrade to a SEOmoz Pro account. this plugin used to be called ‘Chrome SEO’ but had to change its name. Nevertheless, it’s still packed with useful features that will make your SEO efforts easier. page speed is one of the ranking factors of Google. With this plugin you can analyze the performance of your pages. this add-on is really helpful because it not only adds a toolbar, but it also adds page-specific parameters to the SERPs. check the performance of your website with this add-on. PageSpeed Insights works inside the Firebug add-on. with SearchStatus you can analyze keyword density, check the robots.txt file, meta tags, discover canonical links and much more. the same toolbar from Chrome. Lots of features but you need a SEOmoz Pro account to unlock its full potential. one of the best sources of information when it comes to online marketing. They also have a YouMoz blog, where user can post articles (also worth checking out). this website covers news about the search engine industry. You’ll find general news and information as well as tips and tricks. besides SEO you’ll find articles about analytics, social media, mobile… Great site with a lot of information. Twitter is actually a great source of information. You’ll find interesting news or articles that are related to SEO on a daily basis.